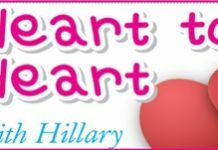 Home Blogs Heart to Heart with Hillary Where did the money go? I apologize for my unprofessional English. Is it possible that a letter from Germany are not arriving the receiver or right target? I have meet a nice Thai girl in the last holiday and the friendship between us are deepens. I write in the meantime several letters to my girlfriend and she write me back. And we have no problems until now. The last letter I write on August but no answer. Inside the letter 2,000 baht and some picture. I called to my girl at the bar but she said there is no letter coming from me. What will I do? Your newspaper are my only help for my Heartbreak Situation. I talk with other people who are stay in Thailand before and they talk to me that some girls are simply lying. But I am really desperate and I only want to know what is true or not, because I love she very much. Have maybe somebody of the Post staff stolen the letter or anybody else? So I want to know your meaning about this sadden situation. I am thank you and I looking forward of an answer of you to me. Don’t worry about your English as your emotions came through very plainly (and painfully too). Unfortunately I have heard from many people that letters containing money go missing. The answer is to disguise the fact that there may be money in the letter by putting it inside a card or a small magazine. That way when the letter is held up to a bright light you cannot see the money inside. Perhaps it might also be better to save your money so that you can get over here more often. There are much safer ways to transfer money too. Have you looked into using a safe debit card account for her, as you can transfer money directly to an account that you control? By the way, I don’t think your girlfriend is lying, from the information that you have given me, but scams have been known for many years. Be careful!